It all started 25 years ago in Stanley, Tasmania with one helicopter, one pilot and a lot of potato paddocks to spray. The company has a history of operations in all facets of the helicopter industry from agricultural spraying, to walking track construction (including the Three Capes Track), to fire fighting. 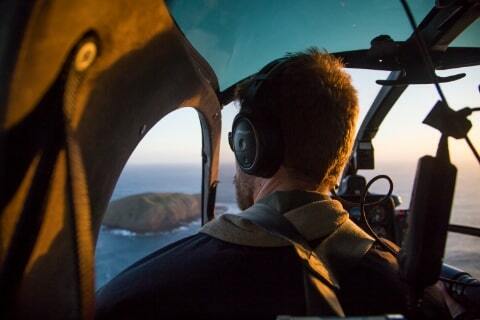 The small family business continues today with Osborne Heli Tours offering spectacular scenic flights over the mighty sea cliffs of the Three Capes region and World Heritage Listed Port Arthur Historic Site. We are proud promoters of the core values of brand Tasmania and love showing off the dramatic landscape and unique history. 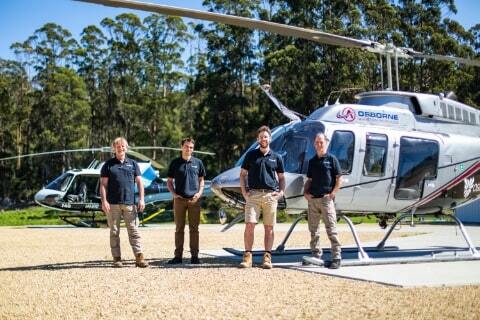 Osborne Heli Tours is part of the Osborne Aviation Group – a Tasmanian based helicopter operator offering a number of aerial services across Tasmania and broader Australia. For more information on the parent company’s history, quality and safety management, and services, please visit their site.